An interactive network facilitating communication and collaboration. A pool of scientists and non-specialists from which to recruit project participants. An administrative structure for submitting grant proposals and conducting research. Partnerships for collaborative field schools and hands-on workshops. A source for expert speakers and workshop organizers. Hands-on field and laboratory experiences (for participating members). 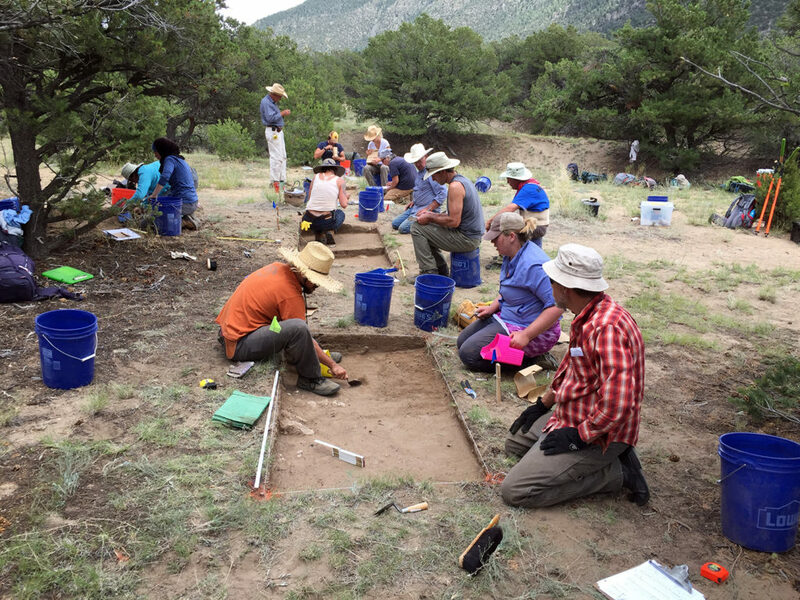 The chance to network with professional archaeologists to learn about other volunteer and learning opportunities. All members will receive an annual report highlighting our past projects and information on upcoming projects. Participating and student members also get priority when applying for projects. Participating members work in the field or lab, and receive priority when applying for our summer field projects. Household participating membership includes spouses or co-residents who both want to be active members. To join or renew your Participating Membership, click below. Supporting Members include people who support the goals and activities of the organization and who wish to be informed about current activities of the organization, but who are not able to participate directly in field or lab projects. To join or renew your Supporting Membership, click below. Student members are Participating members. Student members will receive the same priority as Participating members when applying for projects, and will receive all the same benefits of PCRG membership. To join or renew your Student Membership, click below. If you are already a member or you want to donate and support our mission but not become a member, you may do so here. PCRG is a 501(c)(3) non-profit organization and all donations are tax deductible. Thank you for your support!